The area of the Dead Sea, less than a two-hour drive from Jerusalem, has a lot of photo opportunities – mountains, dry waterfalls, pools with waterfalls, sinkholes. 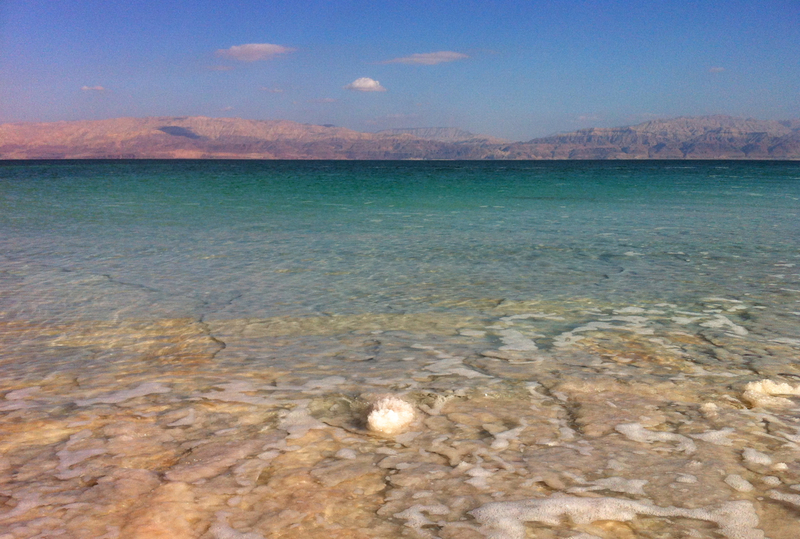 This photo is an image of the Dead Sea taken standing at the shore facing Jordan at the end of a day of guiding. Israeli photographer, David Rubinger (it’s my photo of him with his Leica), says that the best camera to capture an image is the one you have with you, in this case I shot the photo with my iPhone. Clicking on the image will display it larger. Please share this post with your friends by clicking on the icons at the end of this message. The technical details, shot with the Camera app on my iPhone, ISO 80, 3.8mm, F2.8 at 1/2700 sec. This entry was posted in Nature, Photography, Travel and tagged Dead Sea, iPhone photo, sunset on July 21, 2013 by Shmuel Browns.